Theresa May came under further pressure to “chuck Chequers” and rethink her Brexit strategy as MPs returned to the House of Commons after their summer break. 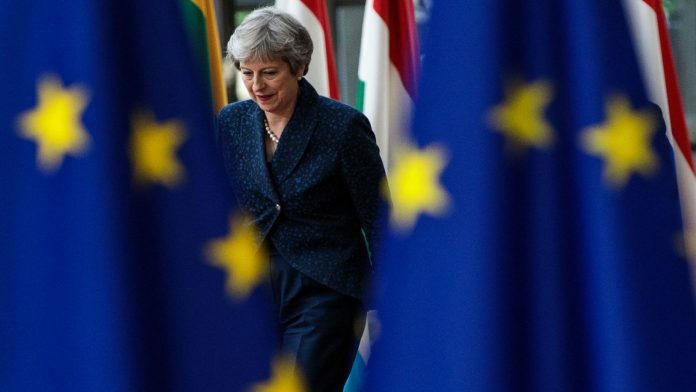 The prime minister’s plans for the UK’s future relationship with the EU came under attack from both Labour and former Conservative ministers in parliament on Tuesday, with the government warned against “self-delusion” over the viability of the proposals. 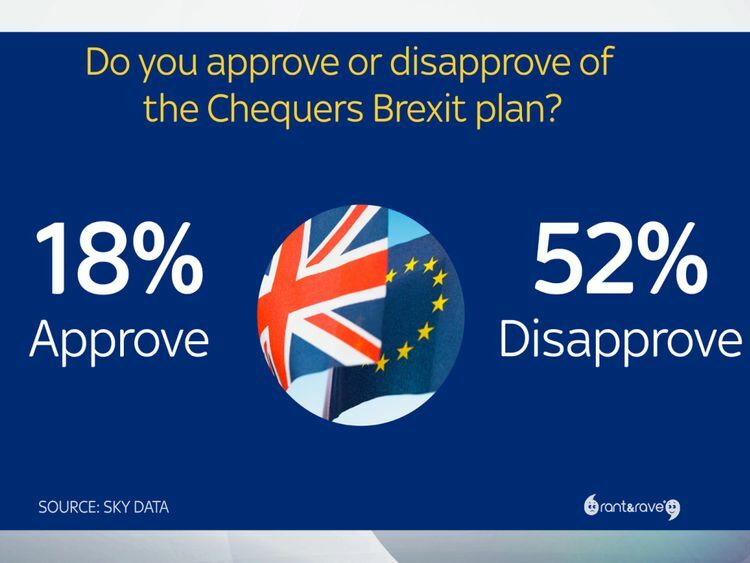 Meanwhile, a Sky Data poll revealed the majority of Britons disapprove of Mrs May’s Brexit blueprint. 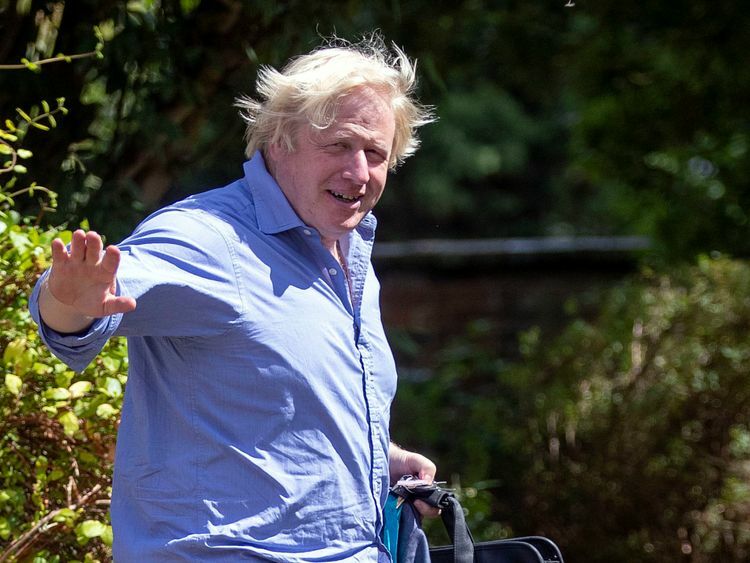 And the mood in 10 Downing Street is likely to have darkened further with the news ex-foreign secretary Boris Johnson is planning to address a 1,000-strong rally at the Conservative Party conference next month. As first reported by The Spectator, Mr Johnson – a vehement critic of the Chequers plan – will address Tory members on the eve of Mrs May’s conference speech. Following the latest rounds of negotiations with the EU, Brexit Secretary Dominic Raab updated MPs on Tuesday on the government’s progress, as well as Whitehall contingency plans for a “no-deal” departure. 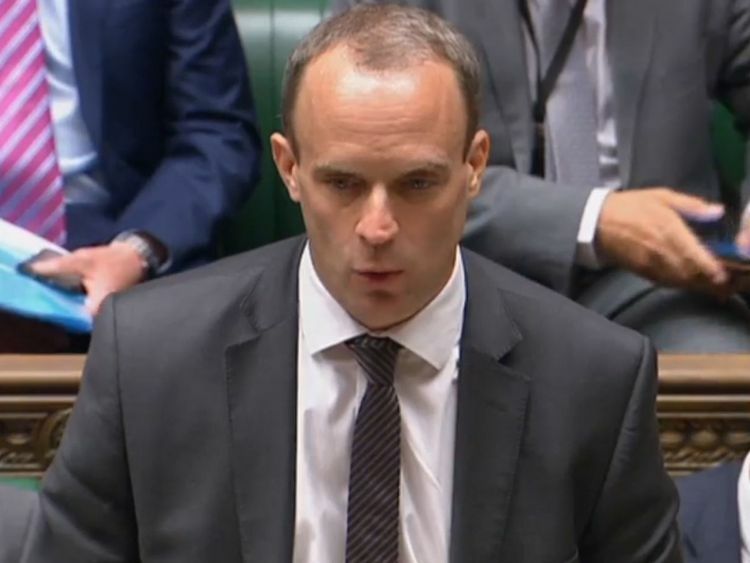 Mr Raab told MPs the “vast majority” of the UK’s withdrawal agreement has been agreed with Brussels, but admitted there is still no breakthrough over the Irish border issue. He also claimed there had been “a wide range of positive and constructive feedback” on the Chequers plan from across EU capitals after a summer charm offensive by ministers, with the bloc “engaging seriously” with the proposals. However, Mr Raab was warned against “self-delusion” by former Tory minister Sir Christopher Chope, a member of the Commons’ Brexit committee. EU chief Brexit negotiator Michel Barnier “rejects” key aspects of Mrs May’s Chequers plan on customs and future regulatory alignment, Sir Christopher claimed following talks between the committee and the Brussels official on Monday. Responding to Sir Christopher’s call to “chuck Chequers now”, Mr Raab replied: “He’s right that the [European] Commission and Michel Barnier have raised concerns around some aspects of the economic partnership, he’s right. Fellow Brexit-supporting committee member John Whittingdale, an ex-cabinet minister, also called on the government to “abandon the flawed proposal that isn’t going to work”. But Mr Raab insisted the government was not going to “roll over” in the face of hostility in Brussels to the Chequers plan. Amid resistance from Tory Brexiteers and Remainers, as well as Brussels, Labour’s shadow Brexit secretary Sir Keir Starmer earlier told Mr Raab the Chequers “fudge” satisfies “no-one”. “The government has got six weeks to get this right: more of the same will not do,” Sir Keir said. Mr Raab later repeated his suggestion the UK could withhold payments of the £39bn Brexit bill agreed with the EU, should there be a no-deal outcome. “The nature of the financial settlement, as has been set out in the withdrawal agreement, is contingent upon us agreeing the deal as a whole,” he said.